Cologne - With only six regular-season games to go, the battle for Bundesliga survival is entering its all-deciding phase and, in distinct contrast to matters at the top end of the table, this one still looks wide open, with any combination of at least half a dozen sides in with an unwelcome shout of going down. The two in the most acute danger heading into Matchday 29 are traditional top-flight heavyweights Hamburger SV and VfB Stuttgart. Hamburg, the Bundesliga's only ever-present club, currently prop up the standings on 25 points, one behind Stuttgart and two down on debutants SC Paderborn. While both the latter displayed timely symptoms of revival in snatching vital wins last weekend, the Red Shorts were downed 2-0 at home by VfL Wolfsburg. That made it two defeats in two games under caretaker coach Peter Knäbel, with six goals conceded and none added to the paltry season total of 16 - the second-lowest ever for a Bundesliga team after 28 matchdays. On Wednesday, the club responded by bringing Bruno Labbadia on board for his second stint in charge of the team with immediate effect, with Knäbel returning full-time to his duties as sporting director. 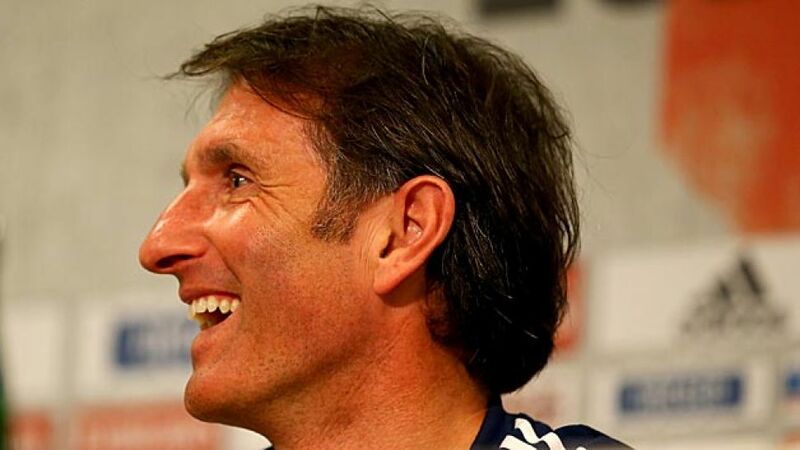 Labbadia, who has been kitted out with a 15-month contract, was previously in charge of the club in 2009/10, guiding them to seventh place in the table and the semi-finals of the UEFA Europa League before being dismissed towards the end of the season. Now, he needs results in double-quick time, starting at old northern rivals SV Werder Bremen on Sunday. “I'm thinking more about how I can win than worrying whether I might lose,” the 49-year-old former forward said. If he can imbue his embattled new charges with a similarly positive mind-set, Hamburg's long-suffering fans might just yet be in for a happy ending to what has been yet another topsy-turvy season.